I have been on the prowl to secure as many resume and cover letter names as possible. I fee there will be a surge in interest for these type of domains. As much as I have been buying as of late, I need to change my focus to the selling side of the equation. The following domains were purchased yesterday, showing you what domains I’m most interested in acquiring. 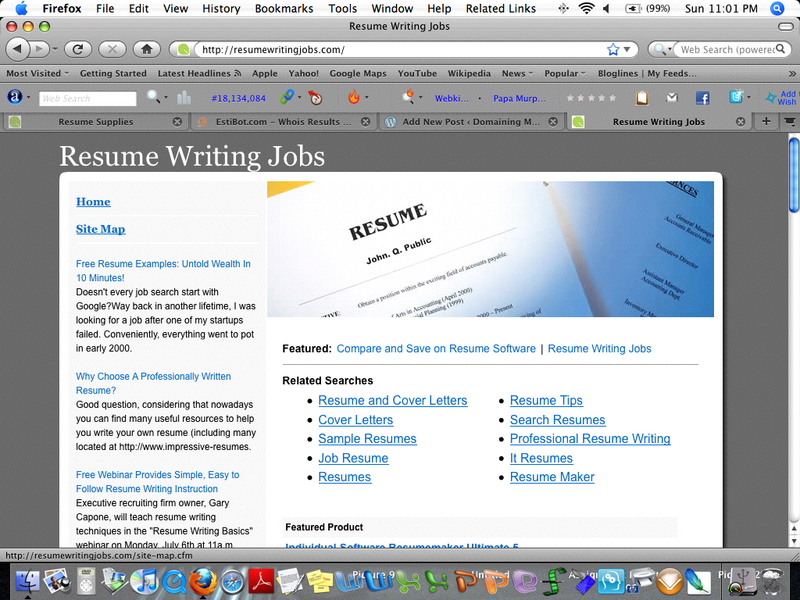 There are a few variations above that point to successful resume and cover letter websites. I assure you that there are many quality domains that are still unregistered. If you appraise a few of the names above, you’ll find that any with the “I” and the longer tailed domains hold no value. Since I’m look more to the resume and job market, many companies may be looking to enter the market to expand their products and services. I have a good shot at generating revenue, while there is also potential to make a few sales in the process. Always take the time to look for different variations, especially when many good domains are still available for registration. Good luck. Everyone knows that Frank Schilling is the one of the most important domain investors in the domain name industry. He owns many of the best domain names in the world. Whenever you’re looking for a specific domain name, you may come across Frank Schilling’s web page. The domain name ResumeService.com is up for sale on Domain Name Sales. This is one of the best domain names you will come across. I own resumeservices.co, which I plan to retain as a future investment. Sedo commissioned resumewritingservice.com for $4100 this past December. I noticed that Frank is holding onto certain domain names, while he is putting others up for sale. ResumeService.com is up for sale, but ResumeWritingServices.com is not. 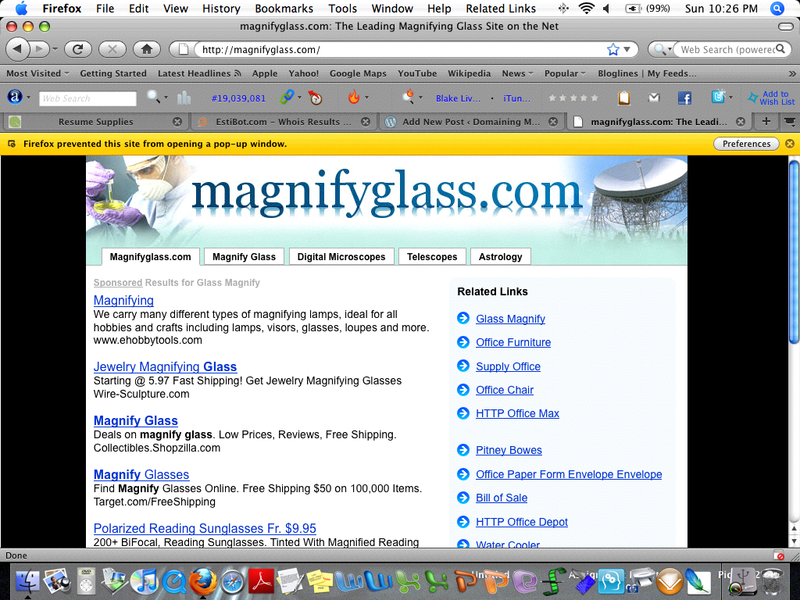 MagnifyGlass.com is another domain name that Frank owns. The domain name is not currently up for sale. I came to a conclusion that certain domain names are earning more revenue than others, or that Frank uses a system. We all know that he owns hundreds of thousands of domain names. I’m sure that most domainers have landed on a domain name that Frank owns. 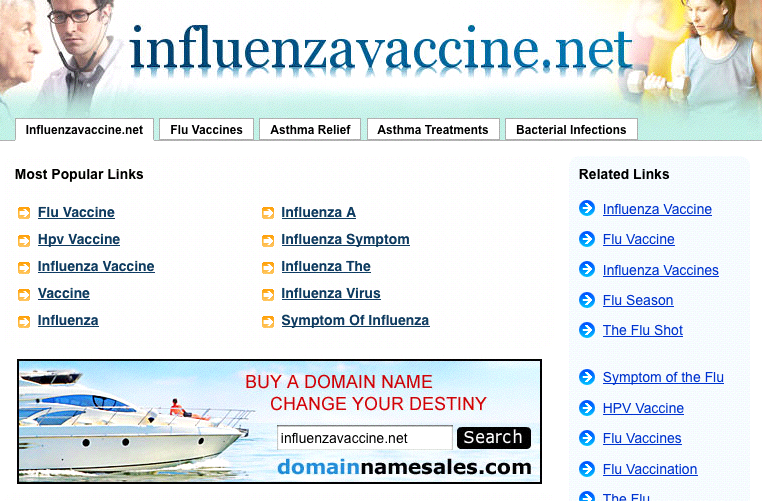 InfluenzaVirus.net and InfluenzaVaccine.net are two other domain names that Frank has up for sale. The Domain Name Sales box shows up on the two domain names above. Essentially, there seems to be a criteria as to which domains are put up for sale, and which are kept off the sales list. 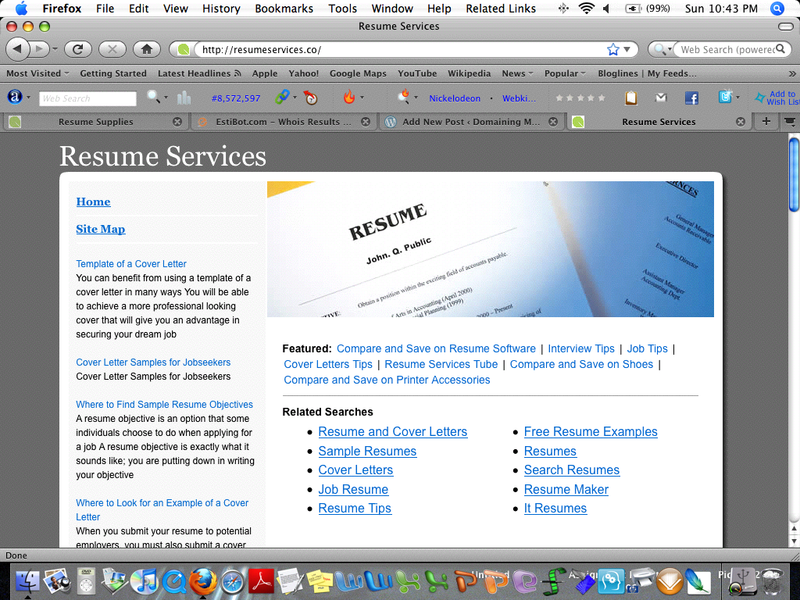 If I had the money to make a large purchase, I would definitely purchase ResumeService.com. ResumeService.com is a major domain name that will continue to increase in value, especially when the job market stabilizes in near future. 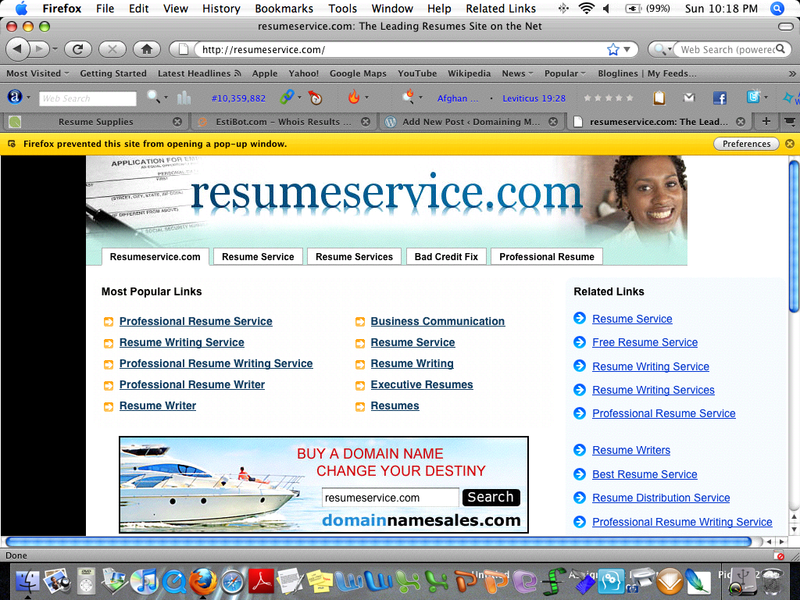 I can’t think of many domain names that are as appealing as ResumeService.com. 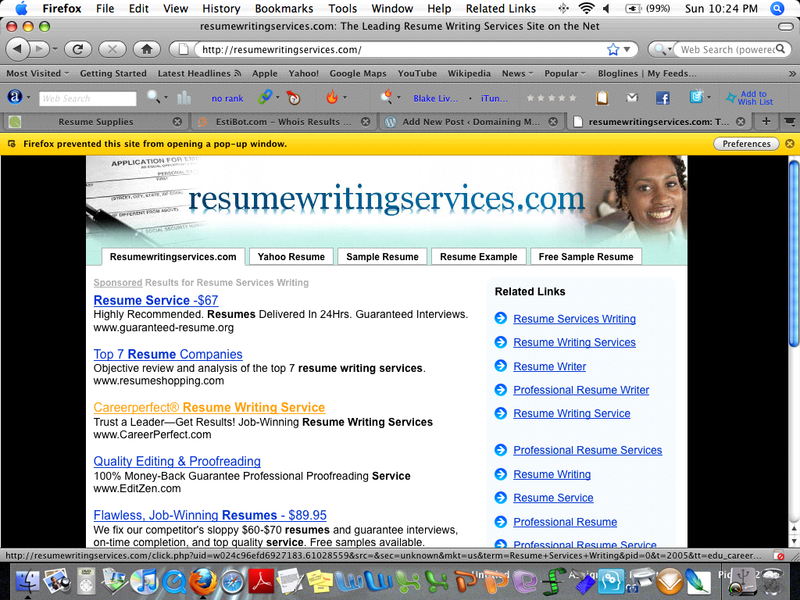 ResumeWritingServices.com is another great domain name that is not up for sale. 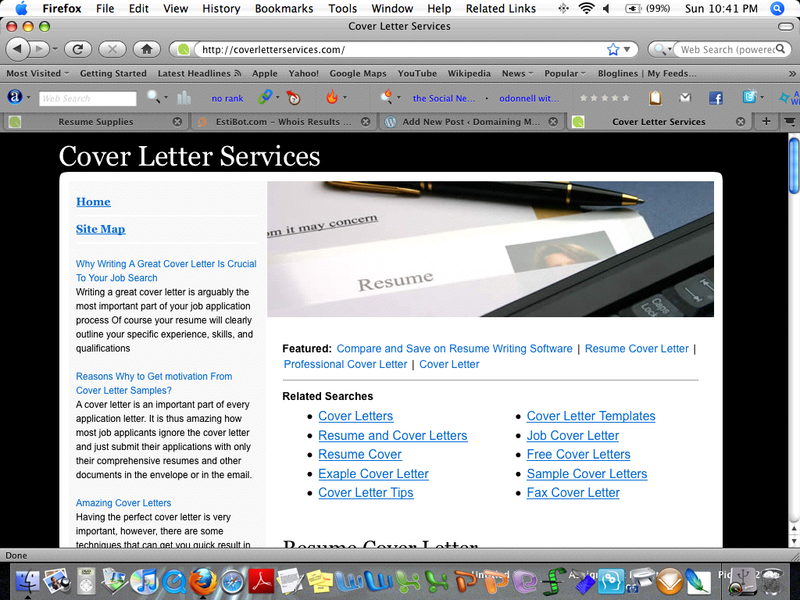 I recently acquired CoverLetterServices.com and ResumeServices.co. I feel that the most popular domain names are in the education and job fields. 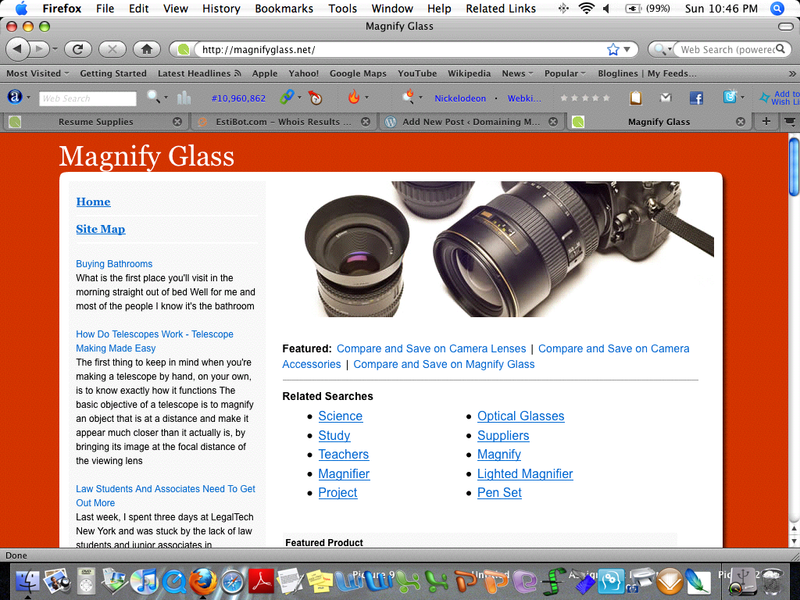 Furthermore, domain names such as magnifyglass.com produce many keyword results and popular monthly searches. 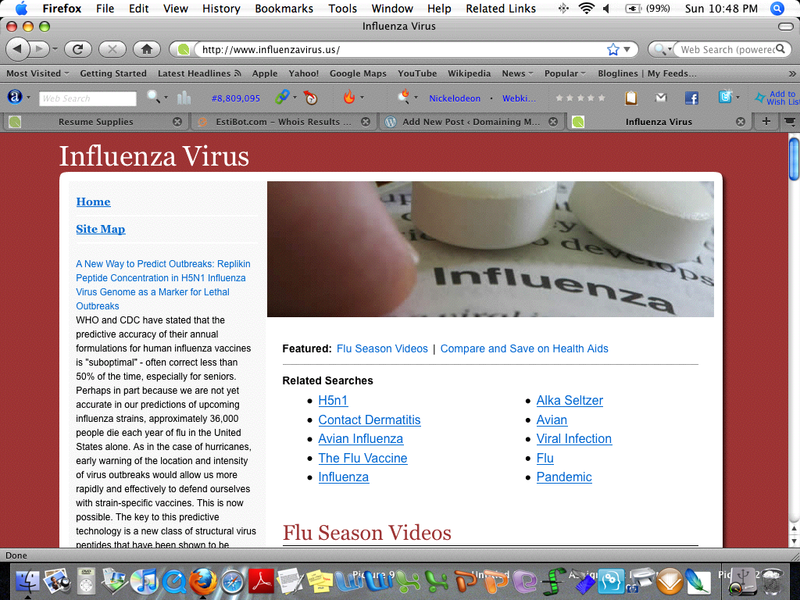 I happen to own magnifyglass.net, influenzavirus.us and influenzavaccine.us. In essence, I own a few domain names that are similar to Franks’. My collection is .0000001, as compared to Franks’. However, I’m confident that my domain portfolio will continue to grow. I know exactly what domain names to hand register, and how to find a buyer. In regards to domain name acquisitions, I only paid above the cost of registration on one occasion. This past January, I won a domain name in a Go Daddy auction. I built my entire domain portfolio on hand registrations. The domain name trend that I’m noticing is that names that are not up for sale are probably generating some nice revenue, so it is a good time to sell the domains. The domain names that are up for sale may be generating good revenue, but there’s probably some sort of criteria set into place to determine their sales status. It may be a good time to move certain names while the market is still strong. ResumeService.com is up for sale, but ResumeWritingServices.com is not. 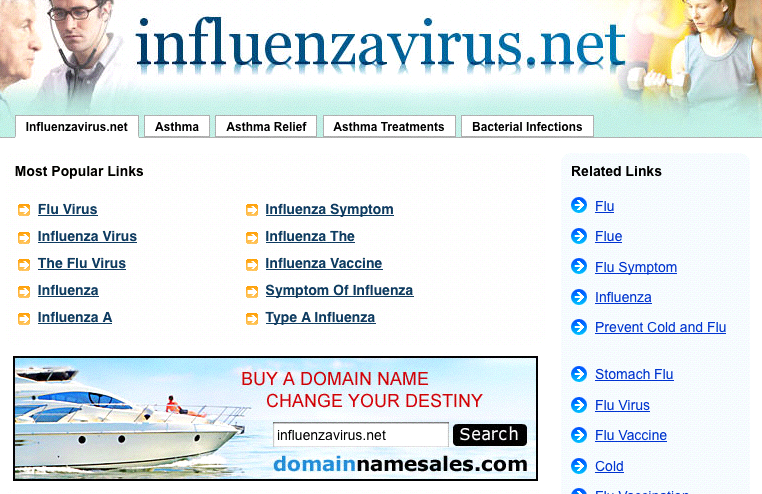 MagnifyGlass.com is not up or sale, while influenzavirus.net and influenzavaccine.net are currently up for sale. In my opinion, Frank uses a system to determine which names to sell, and which ones to keep – i.e. revenue earnings, market trend, popularity, sentimental value, and etc. ResumeService.com is an awesome domain. I own ResumeWritingJobs.com. I see major potential in resume domain names. The job market will rebound soon enough. Resume, jobs, and education are the most influential domain names in the market. If you want to make money, invest in domain names that fall into the categories listed above. Good luck on domaining and domain investing.